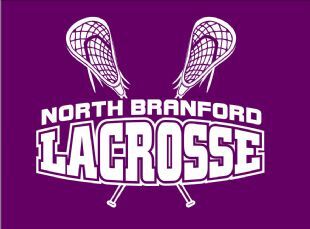 Welcome to the North Branford Youth Lacrosse website! Here you'll be able to get the latest news, bulletins, rosters, schedules and game results as well as exchange items and learn about our game - Lacrosse. For team specific bulletins chose the "Team" button at the top and click on it. From there you can choose your specific team, bulletins, rosters, and schedule. You should check your team site regularly for updates and messages. PLEASE NOTE: You can add or change email addresses or cell phone numbers for text messages by accessing your own NBYLAX account through the “Edit my Account” button in the left hand vertical menu of our website or by simply clicking here. Follow NBYLAX on Social Media! Tuesday, April 23rd is the day we fill The Food Pantry of North Branford! 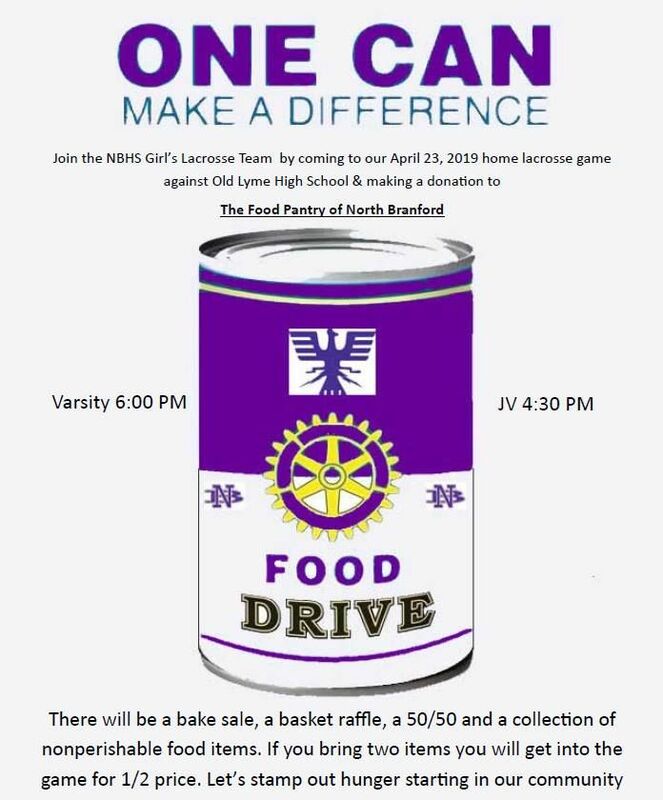 Bring 2 non-perishable food items to the NBHS Girls Lacrosse Game and get into the Varsity Game for 1/2 price. All proceeds from the snacks, raffles and 50/50 will be donated to The Food Pantry of North Branford. Help us stamp out hunger in our community. No person shall consume or have in his or her possession any alcoholic beverage in violation of the Code of the Town of North Branford. Smoking is prohibited at all properties under the control of the North Branford Recreational Department at all times, including but not limited to; buildings, grounds, entrances, sidewalks, parking lots and parks. Smoking is defined as the use of: cigarettes, pipes, cigars, and other devices that produce smoke, including electronic cigarettes and vaporizers. While the Coaches will be reminding all of the players to pick up after themselves, I would ask that all parents and guardians periodically reinforce this with your sons and daughters. Also, Public Works has put in a significant amount of time and energy over the last few days to repair, fill and regrade the parking area at the Mill Road field. When pulling in and out of the parking area, please keep in mind that the stone lot can be damaged very easily so I would ask that you move around the lot in your vehicle very slowly. Thank you all in advance for helping to keep our fields clean and free from trash and debris. This helps maintain a clean and safe playing environment for your sons and daughters. Please remember, using the fields in town is a privilege not a right! THANK YOU FOR SUPPORTING NBYLAX! Players, Parents & Friends of NBYLAX! On any platform, search for "nbylax" and start following us! We encourage parents & players to "share" game day photos on our social media platforms or e-mail pictures to and we will post them!